Dimensions: 43 x 22 x 18 cm approx. Fun and full of character, the Wall Mounted Duck Felt Head by Fiona Walker England would make a beautiful addition to a nursery or child's bedroom. 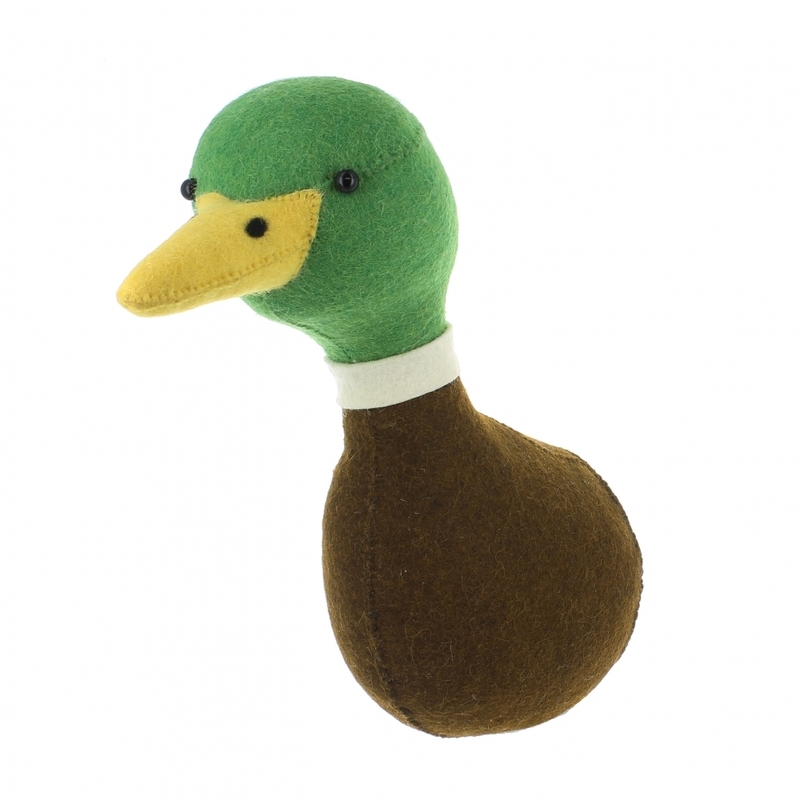 A hand crafted duck animal head in felt, it will be admired by adults and children alike and will watch over your little ones. Match him up with other farmyard animal heads from Fiona Walker to create a coordinated display.